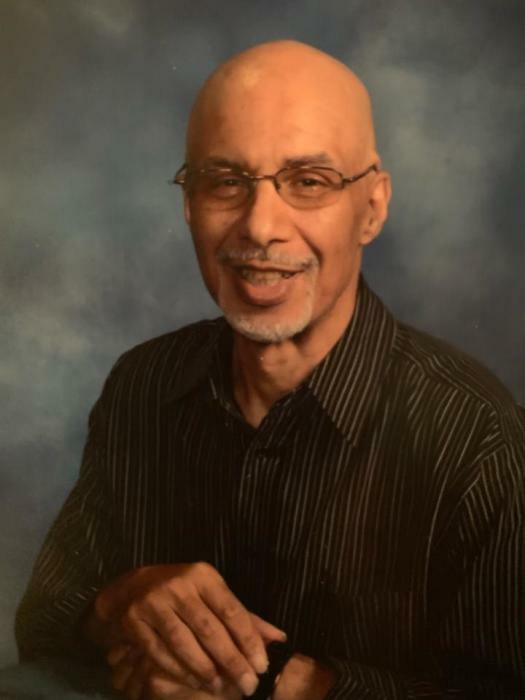 Obituary for Stephen Walker Powell | House of Wheat Funeral Home, Inc.
POWELL, Stephen Walker “Steve”, 61, born May 31, 1957 in Washington Court House, OH, passed away peacefully January 23, 2019 at Hospice of Dayton, after a lengthy battle with Parkinson’s disease. He grew up in Dayton and graduated from Meadowdale High School, Class of 1976. Steve loved to read, especially adventure fiction novels and he had a tremendous love for music. He graduated from the National School of Broadcasting, Columbus, OH in 1977. He started working with various bands in Dayton such as FAZE-O, and the Ohio Players. He was a stage hand working with the GAP Band, Mtume and Slave, to name a few. Eventually he became sound technician for numerous bands and the sound technician for his church, Greater Allen A.M.E.
Steve is preceded in death by his father, Richard L. Powell; maternal grandparents, Emanuel and Leona Walker; grandparents, Clifton and Hazella Hodges. He leaves to cherish his memory, his loving parents, Saundra and James Hodges; son, Christon (Whitney) Powell; sister, Kim (Lee) Potter, all of Dayton; brother, Daniel (Toni) Cooper of Chillicothe, OH; grandson, Chancellor Powell; nephews, Charles (Ashlan) and Robert Potter; loving aunt, Edith Johns of Dayton; uncle, Gregory Hodges and aunt, Marjorie Hodges, both of Tallahassee, FL; life-long friend, Carolyn Rolack; special sons, LeShon (Regina) Rolack and Brandon Davis; devoted homecare provider, Jackie Glover; a host of nieces, nephews, cousins and friends. Memorial service will be held 12 noon Saturday, February 2, 2019 at Greater Allen A.M.E Church, 1620 W. Fifth Street. Rev. Elmer S. Martin officiating. Calling hour 11 am at which time family will receive friends. Arrangements entrusted to House of Wheat Funeral Home, Inc.